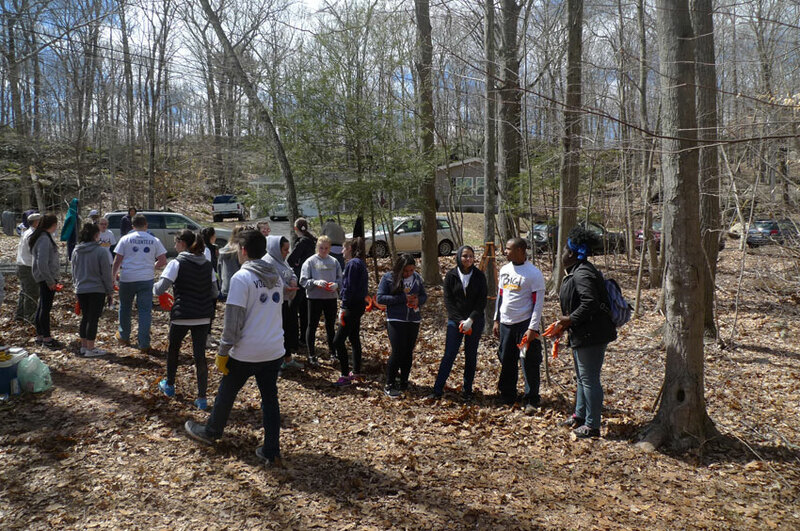 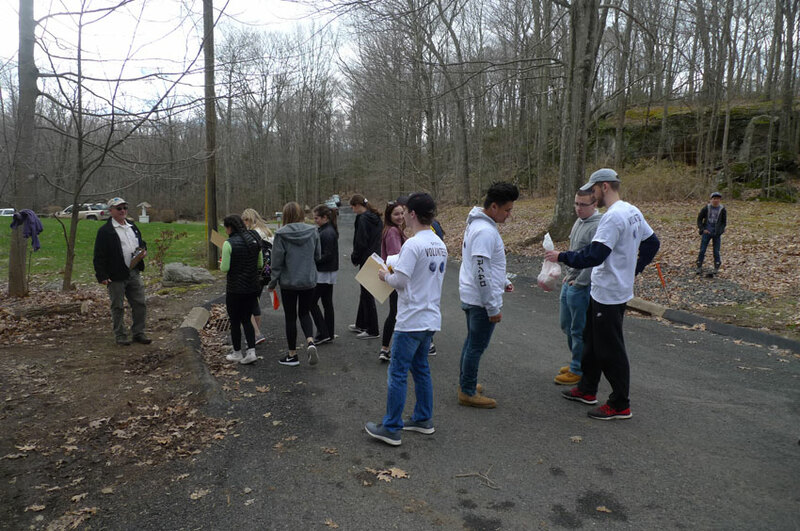 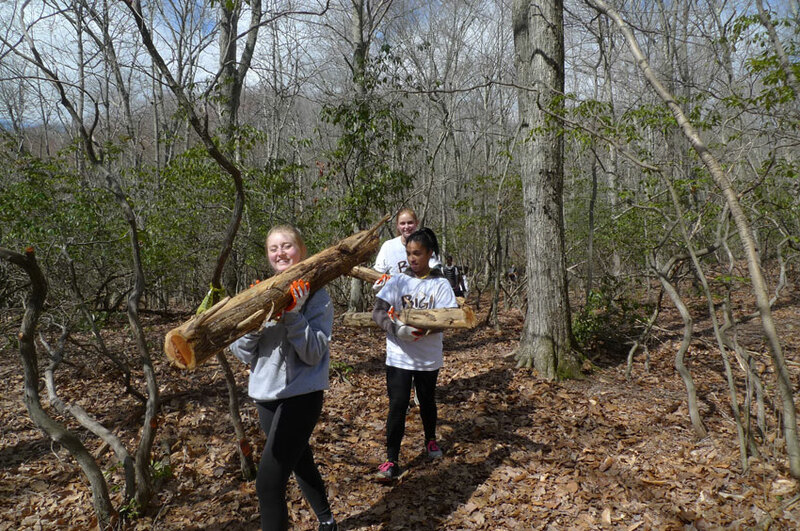 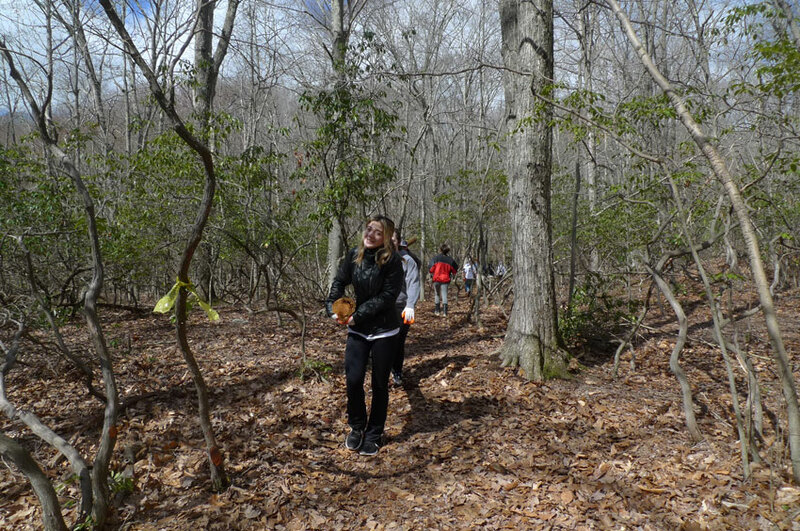 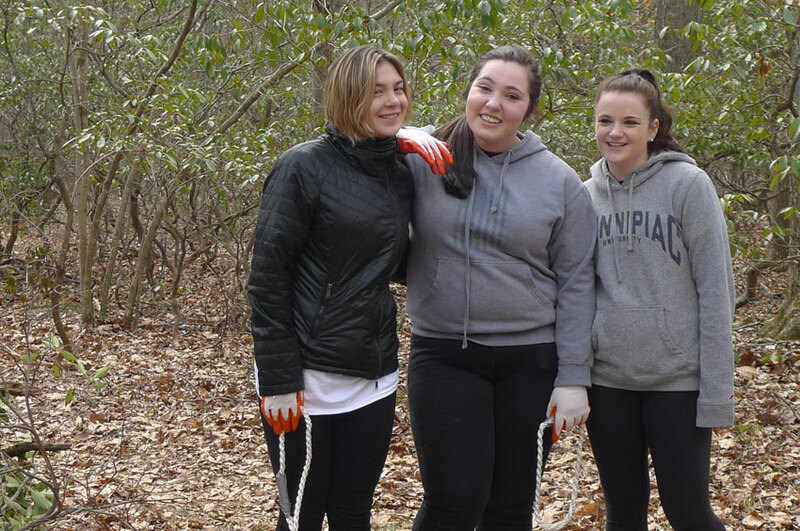 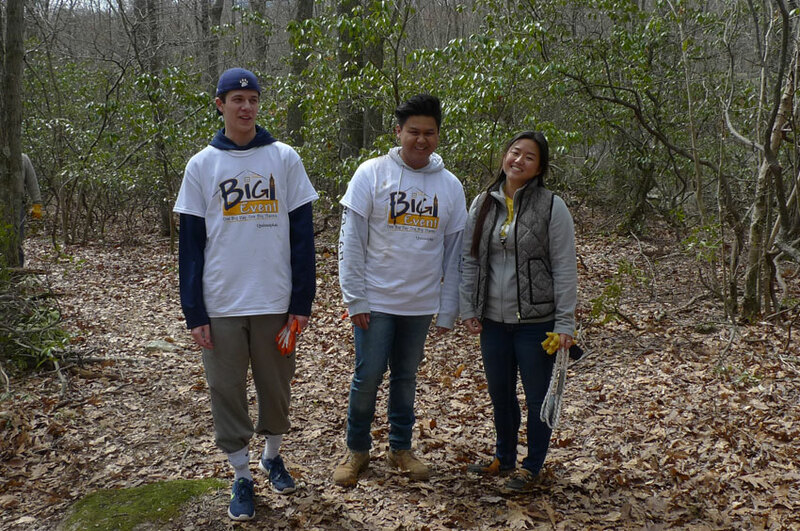 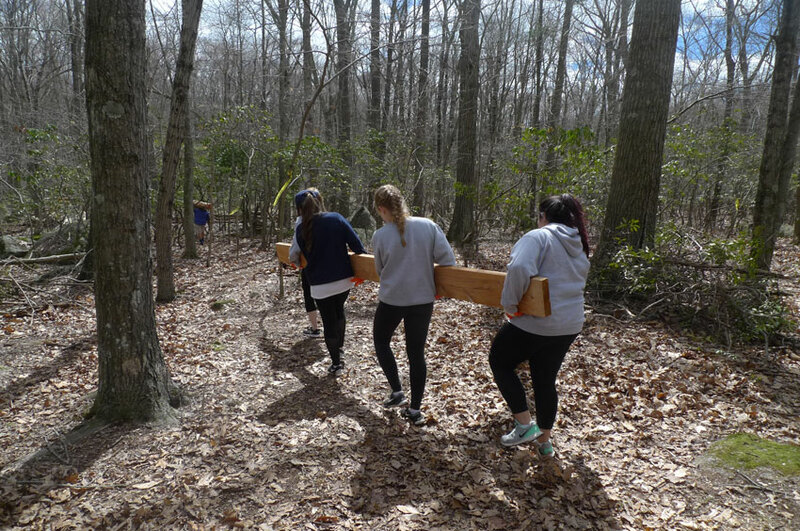 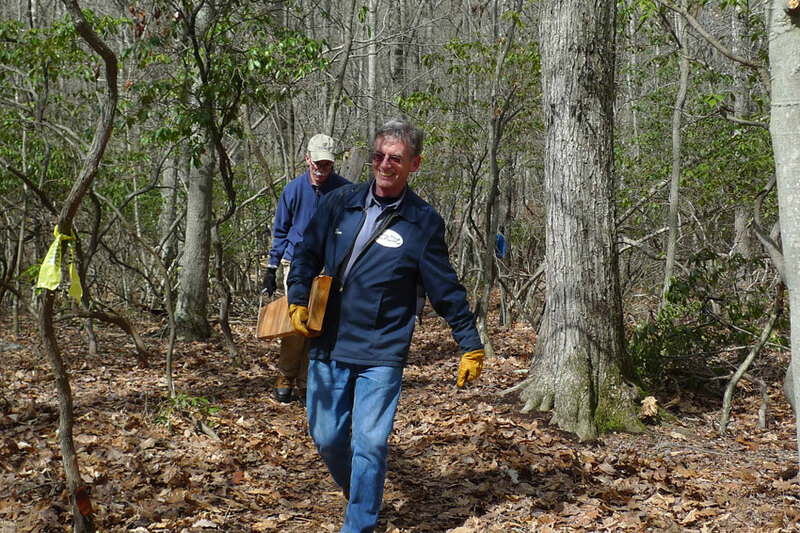 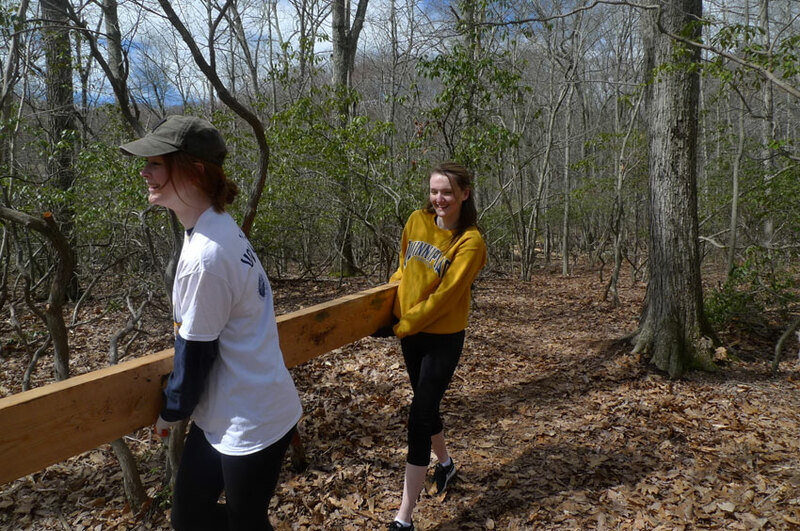 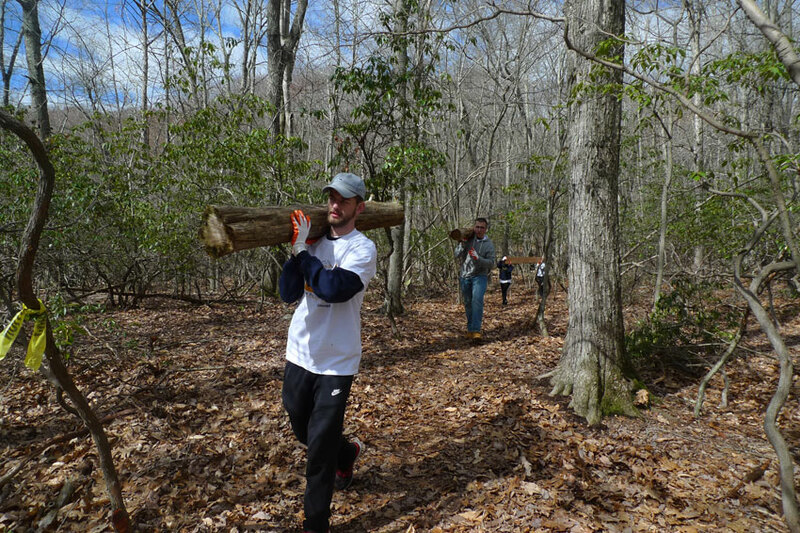 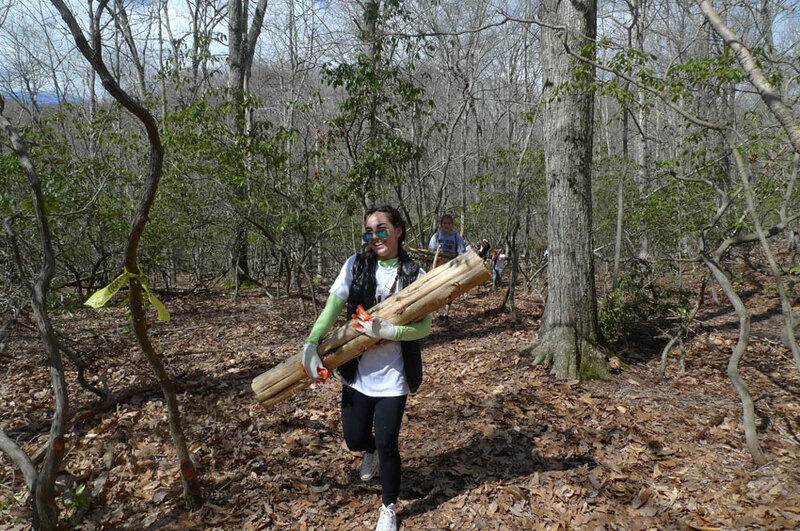 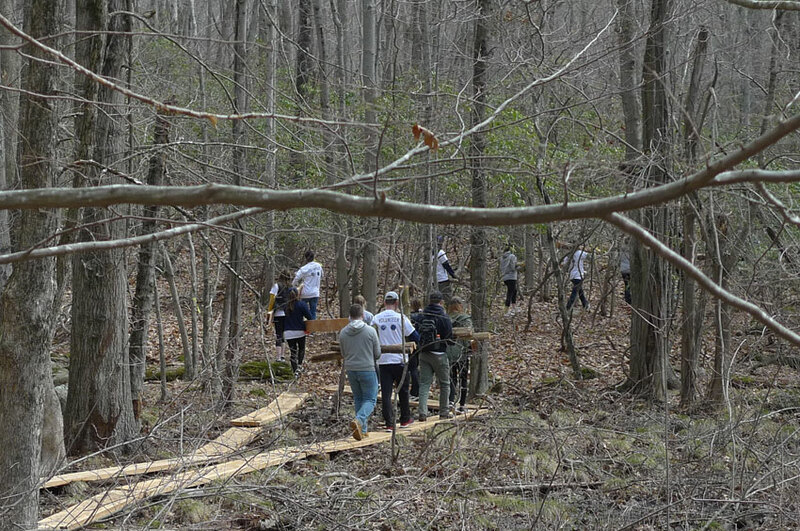 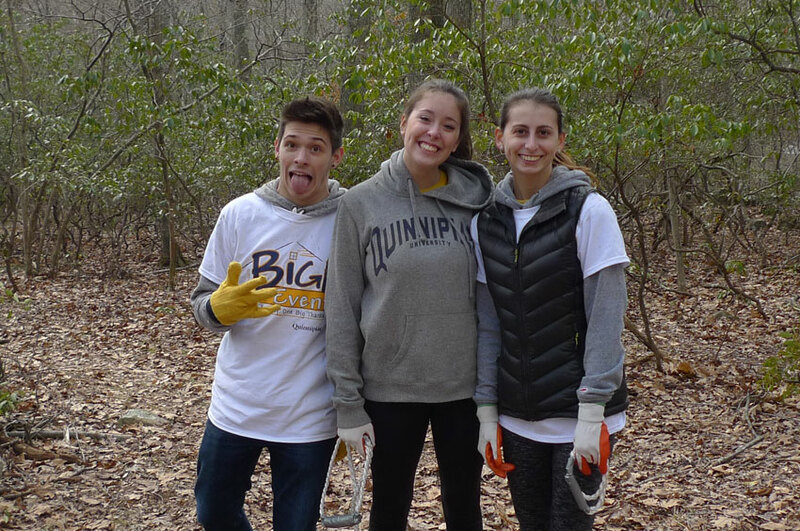 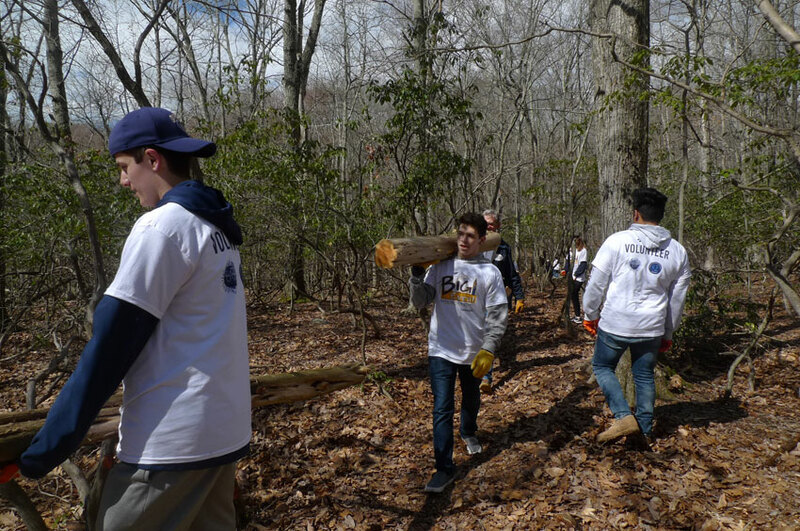 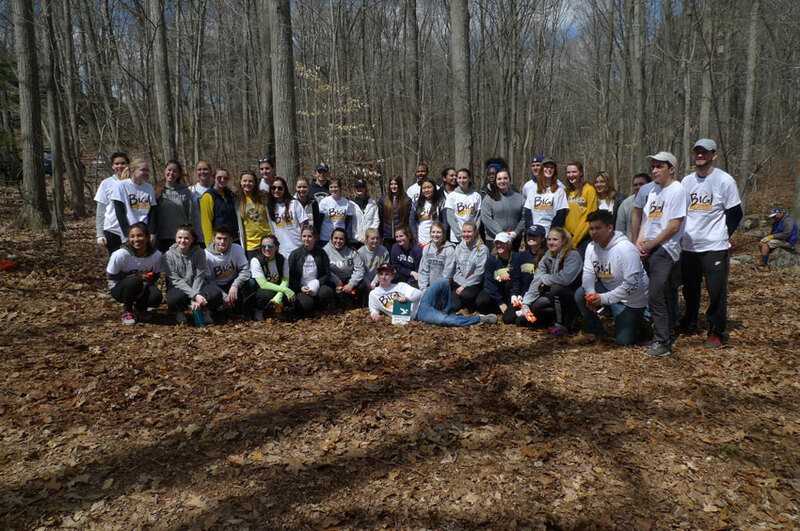 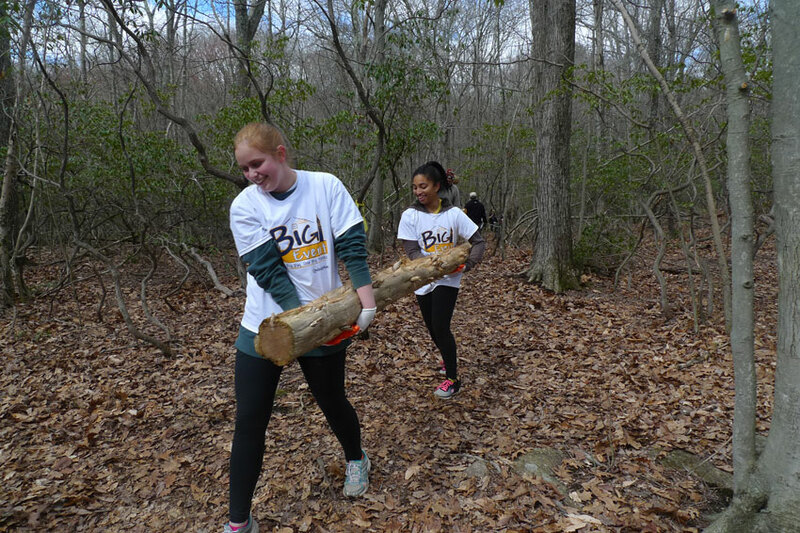 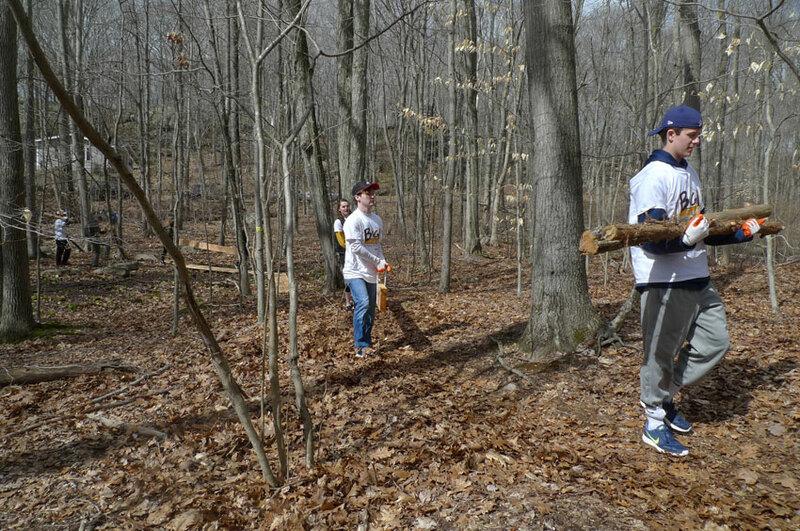 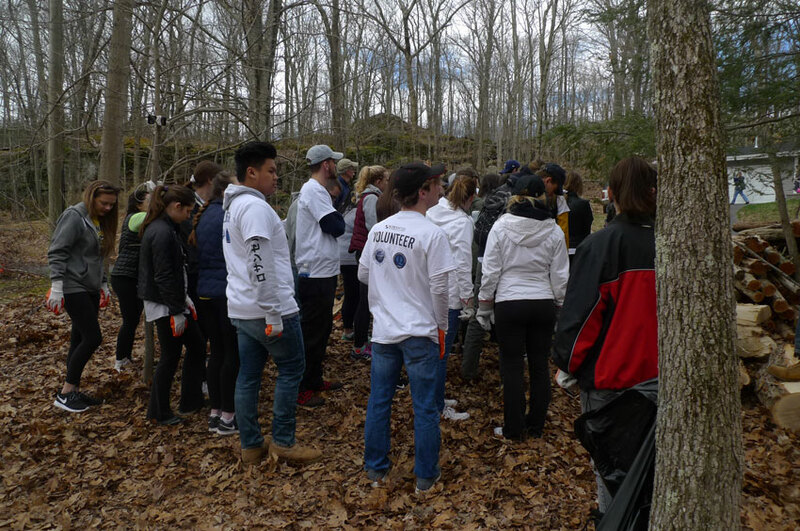 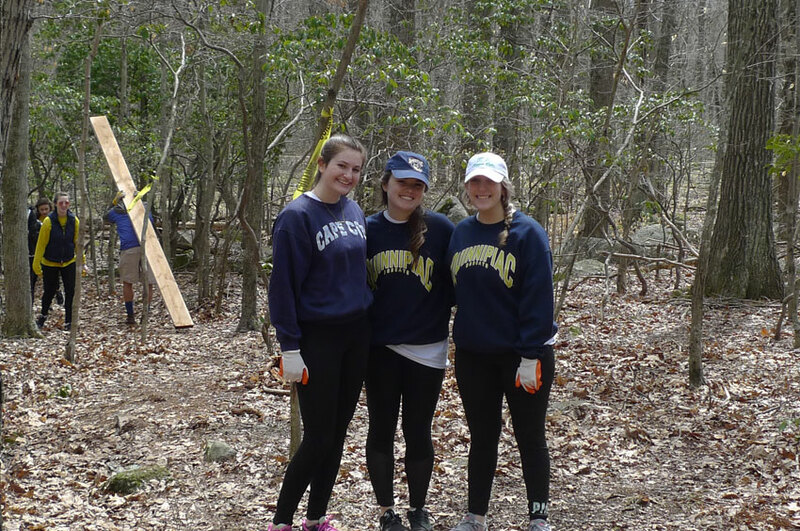 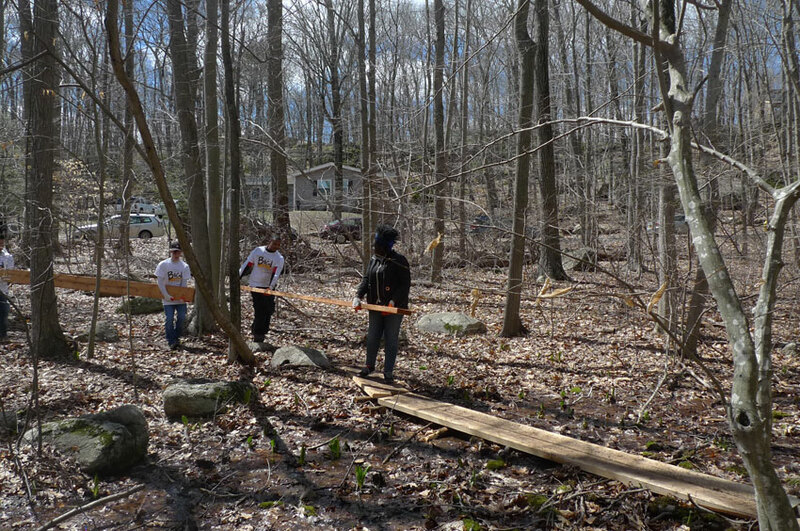 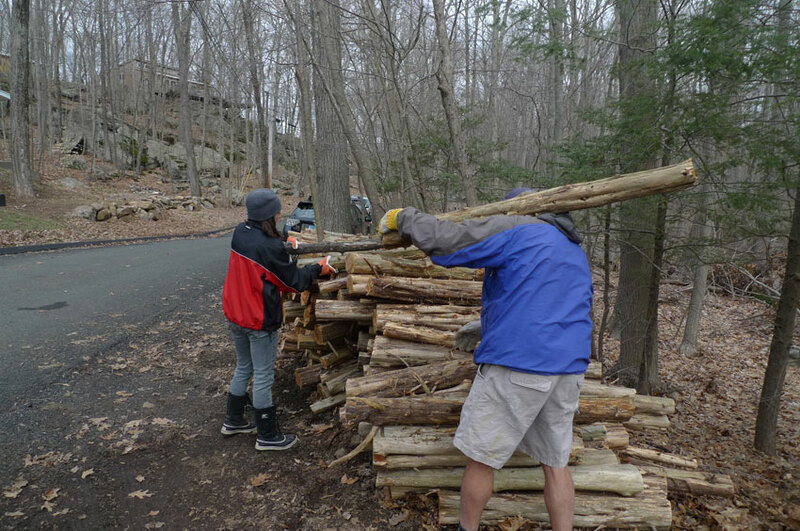 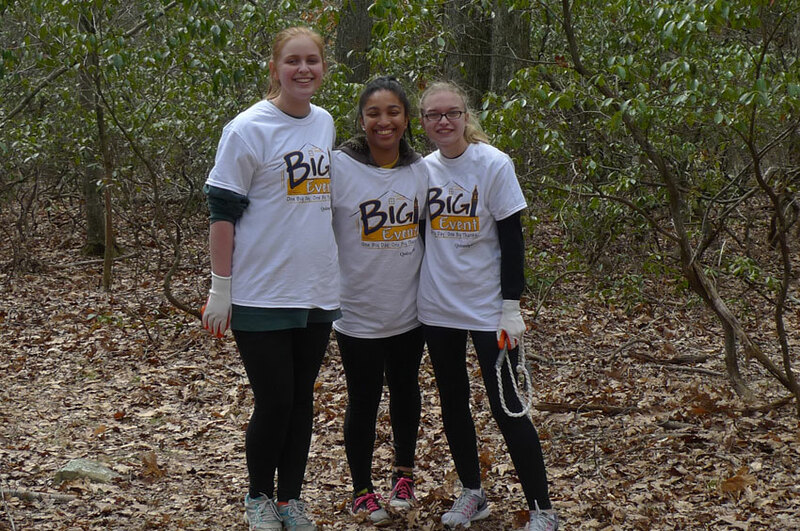 Coordinators of the Quinnipiac University Big Event 2017 on April 8th came to the aid of the Branford Land Trust with an enormous act of community service. 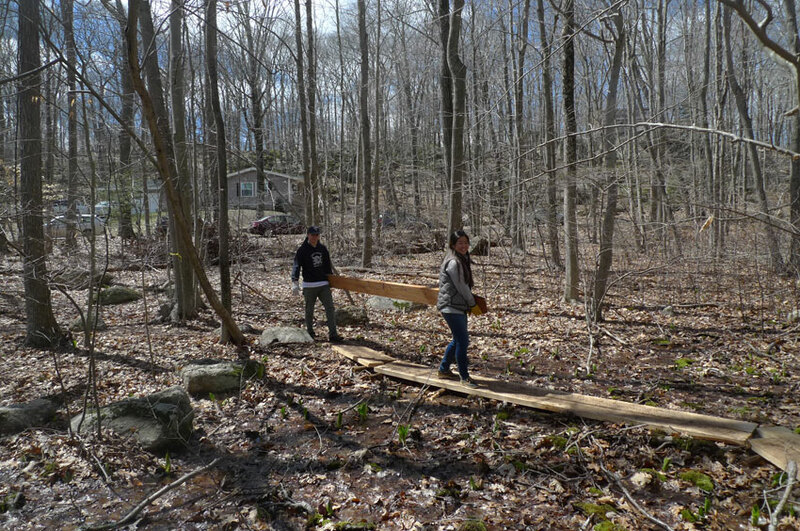 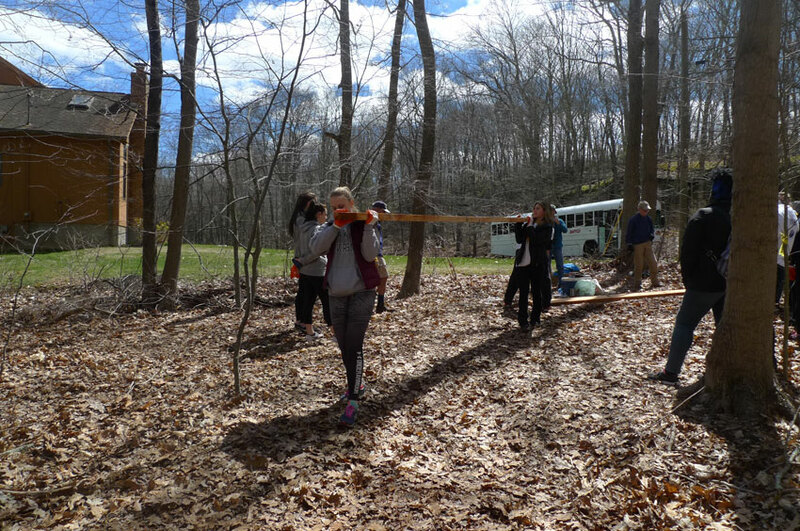 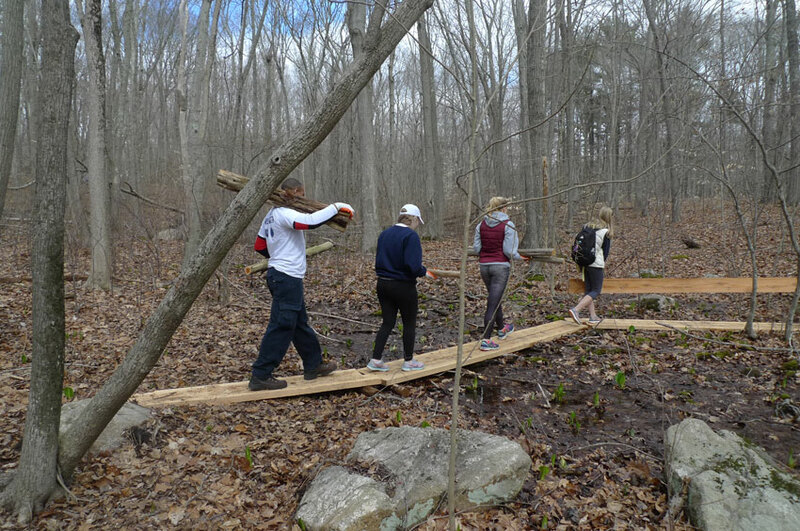 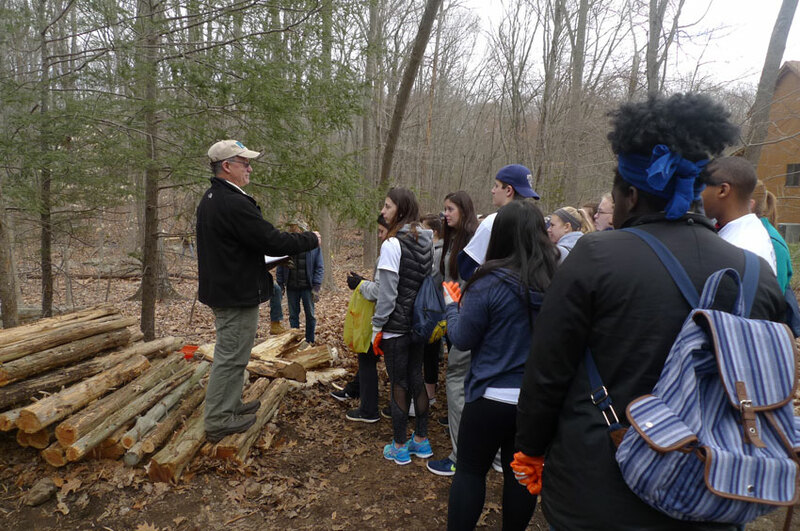 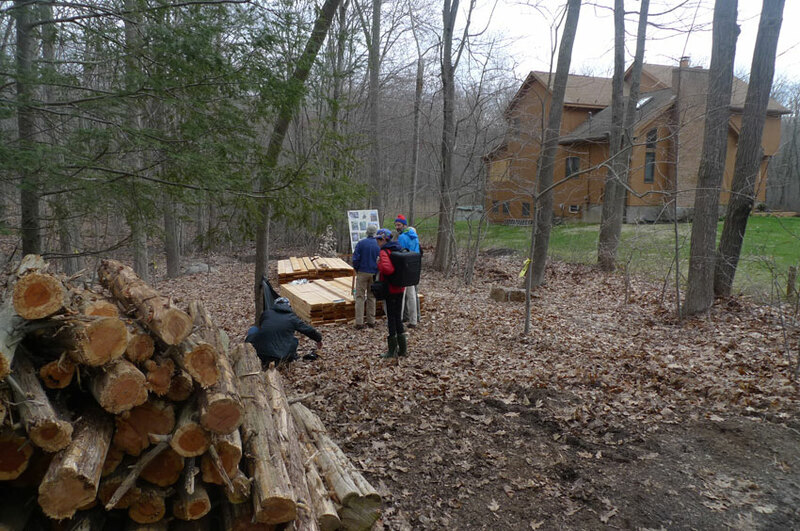 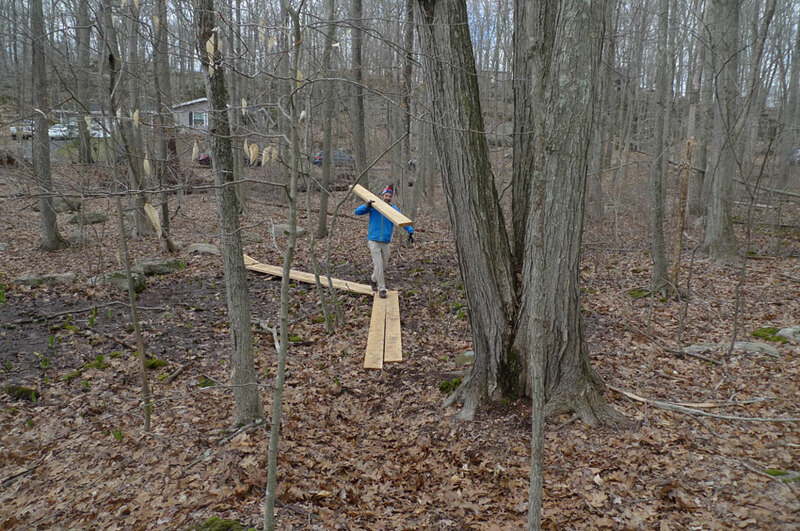 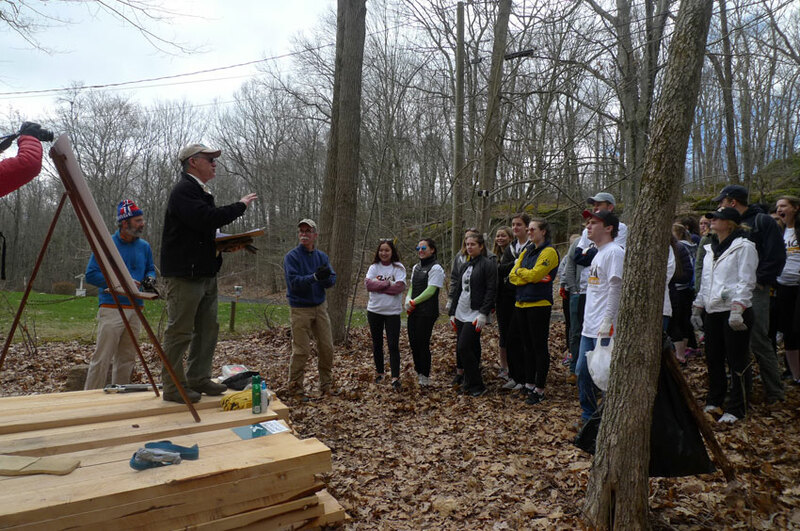 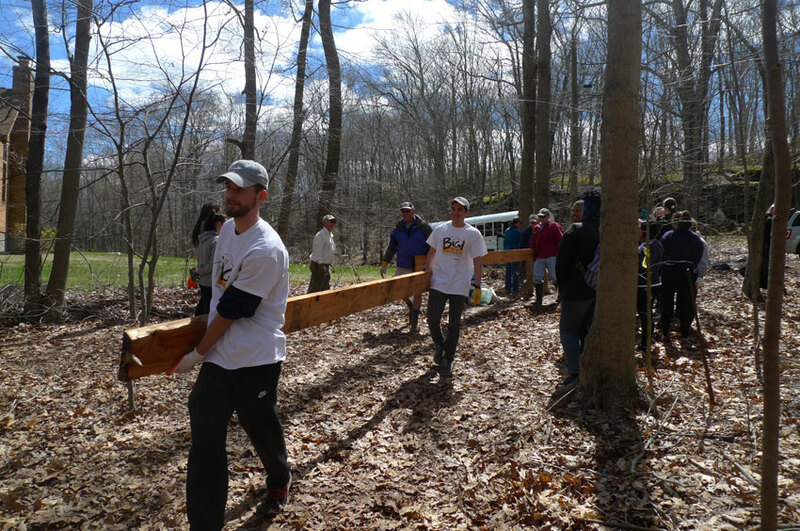 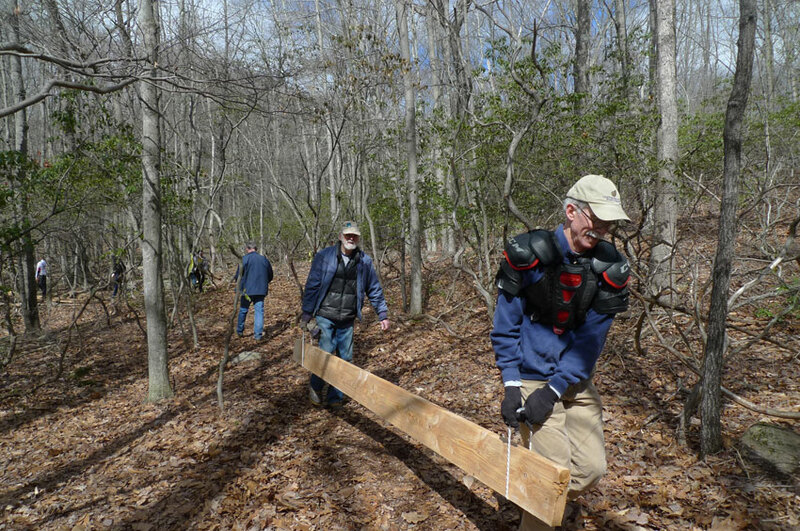 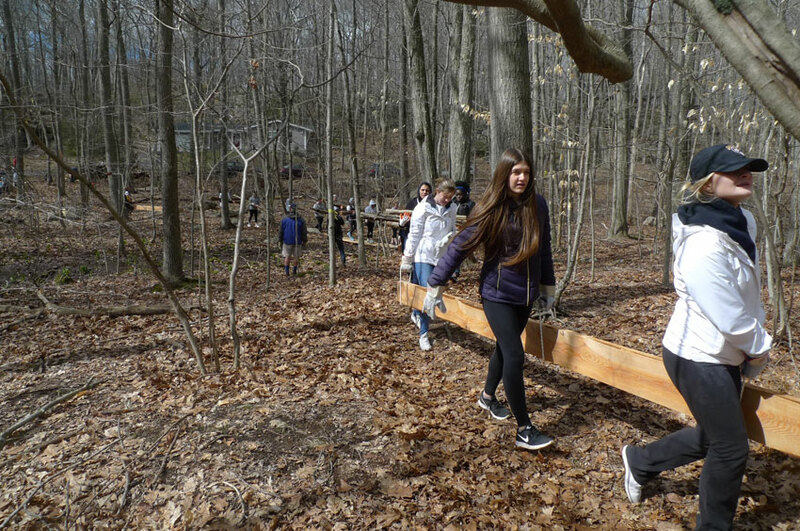 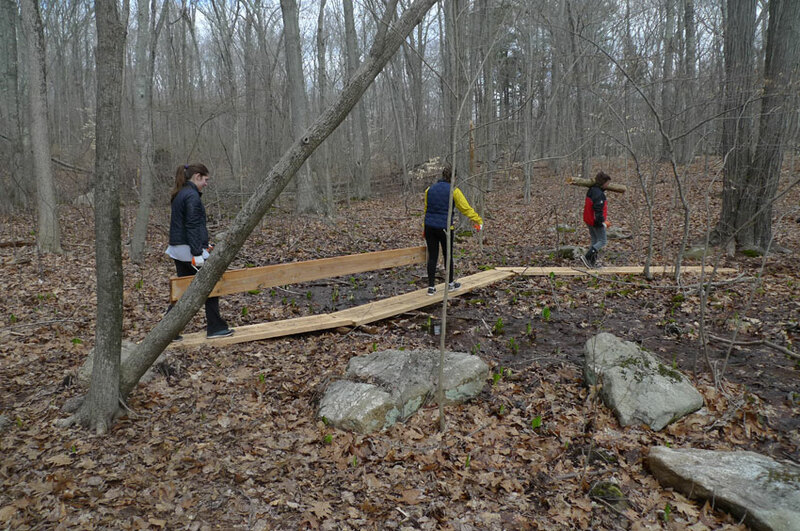 Organizer History Professor Michael Chiarappa and 45 QU student volunteers joined more than a dozen BLT members for a morning of hand-carrying lumber for a new “bog walk” trail on the Red Hill Woods wetland. 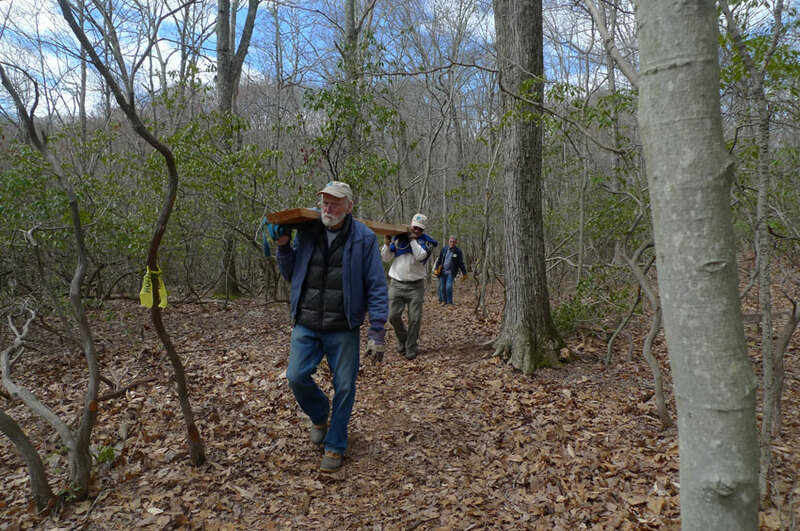 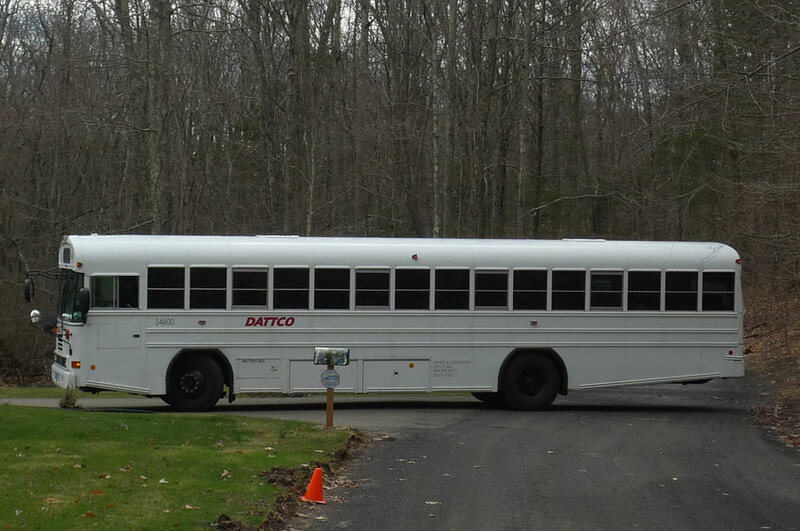 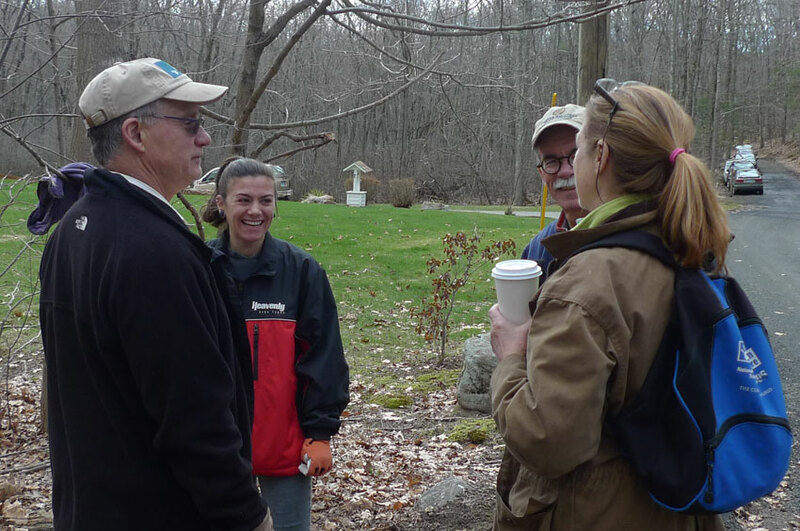 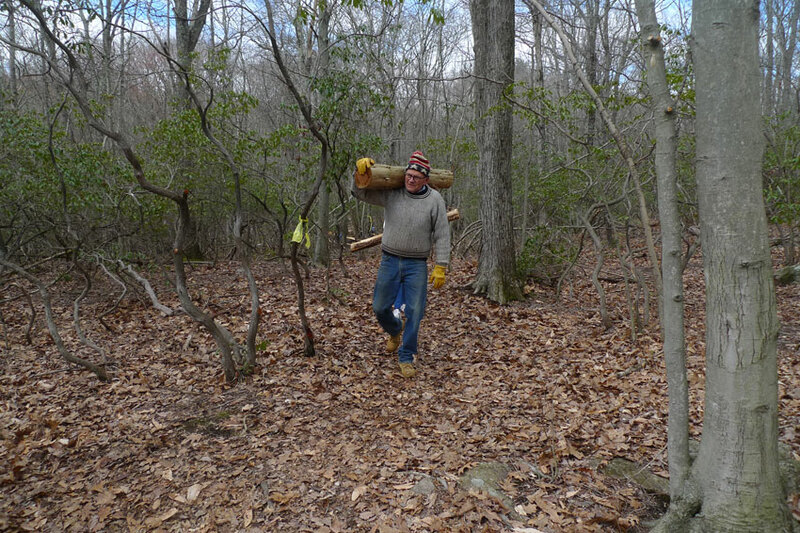 The day was a huge success and hard work, leaving only the assembly of the Branford IWC-approved walk for the Land Trust Trail Committee to complete over the next few weeks. 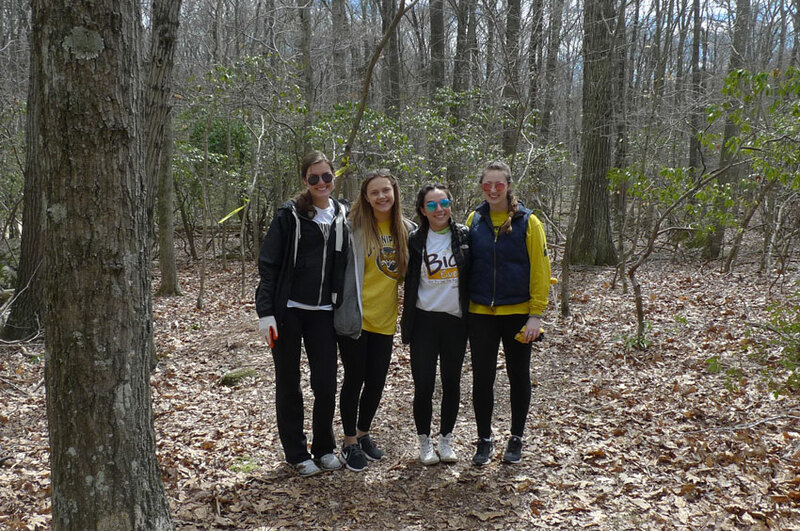 Thank you QU! 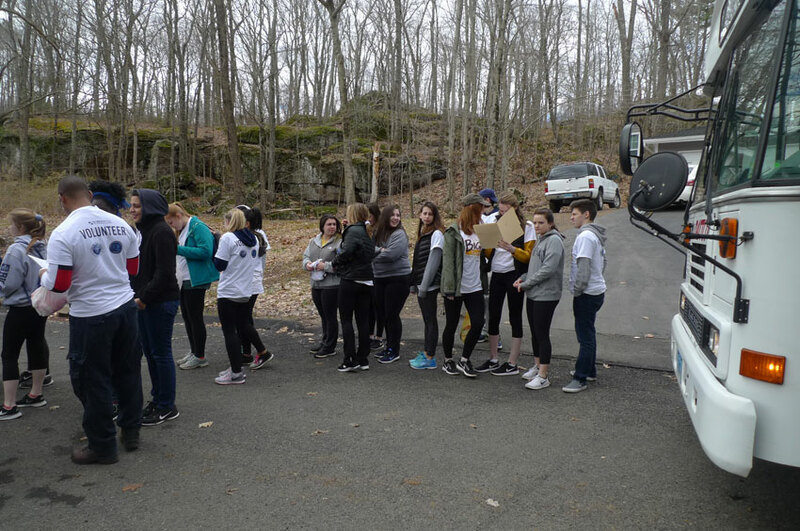 Photos by Bud Dannheim. 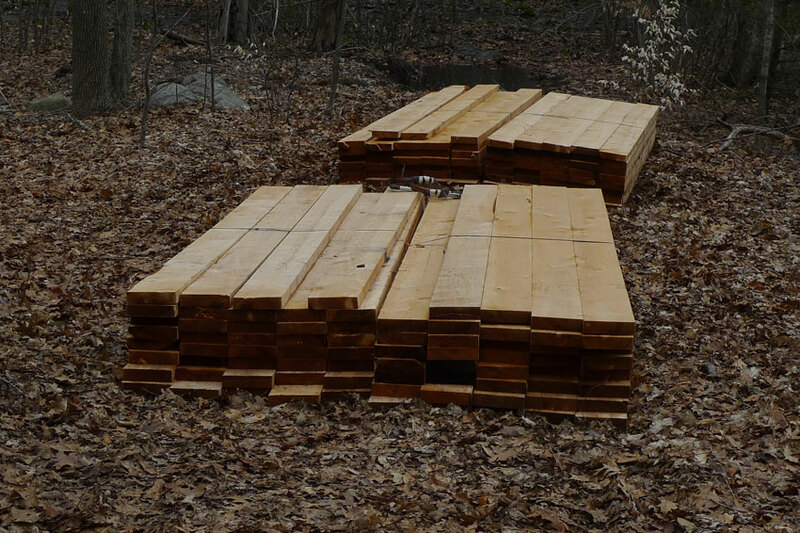 Visit our Facebook page to see these and more images.